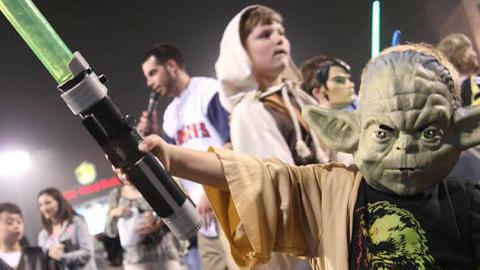 Go to Mud Hens Star Wars weekend you must! Fire up your lightsaber and dress up in your favorite Star Wars costume for "May the Fourth Be With You" (on Saturday, May 4) and "Revenge of the Fifth" (on Sunday, May 5)! Call 419-725-4367 for tickets or order online.